Take a listen here on soundcloud or click here to see the whole article. JeConte will be heading to Paris to play with multiple musicians for a min Menil Fest reunion. The band will perform at the LANGORA on October 12th and a residency at Le Chansonniers playing offcially with teh fellas on the 13th...and many special guests...then off to Womex for the week to promote Mali Blues to be released via eOne in January 2013. 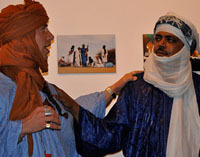 JeConte along with band founders Boubacar Sidibe & Adama Dramé went to Paris for a week to perform at the MENIL'FEST 2012 !. It was a great exchange of music and the band rocked. Vieux Farka Toure joined us and invited JeConte to sit in during his sets as well. The band did a residency at Le Chansonniers and plan on returning this Fall for a short run on their way to WOMEX. JeConte & The Mali Allstars are in the studio working on additional tracks for Mali Blues with some very special guests. It is looking like we have compiled some serious tunes and look forward to sharing it with you. We have many special guests coming through the studio and look forward to getting some great music ready our forthcoming release. We are currently in Studio Yeelen in Bamako, Mali and will be until April...with a big mixing and master session to follow... Mali Blues is in its second major recording session prior to its release and we have had some major sessions in Bamako, Mali with some great artists and are having a lot of fun. The band will be working hard on a 'Mali Blues World Tour' and label support to celebrate this amazing music and get the first release out to the World. We are focused hard on 'Mali Blues pour La Paix' concert series to help the growing situation here in Mali and the album features a great colaborative track called 'Le Monde de Mali' with some amazing performances. We hope to share this and more in a series of concerts for 'Pour la Paix in Mali' later this year. 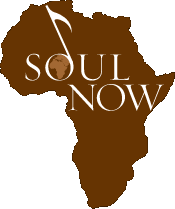 We will be working directly with JeConte's non profit SOULNOW.ORG to raise funds that will help people in Mali. Additionally SOULNOW is focused on building music schools in Mali. Mali Blues is going to be a great experience we look forward to getting your continued support. JeConte performed at the ESSAKANE Film Fundraiser in Los Angeles with Abdallah & Hassan of Tinariwen. In case you missed it on Abdallah & Hassan of Tinariwen & the JeConte live at Top Tomato! Thank you all for your support! From our first Essakane Film fundraiser in LA last Thursday! So grateful to Abdallah & Hassan of Tinariwen, JeConte, & everyone who came out to support the film! Coming to DC & NY soon! JeConte & The Mali Allstars featured in 'ESSAKANE FILM'. The film crew joined the band in the studio in Bamako and throughout Mali. It was a great opportunity for us, and an exciting and wonderful project. To learn more about their film Click here. 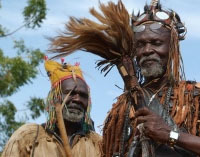 Also they have featured JeConte & the Mali Allstars on their BLOG and in their photo gallery. Take a look and see what cool stuff they have going on. We look forward to supporting them on an on-going basis.